Comixology just revealed their list of discounted comics leading up to Black Friday. There are hundreds of awesome deals here including 67% off Avengers full series titles, 67% off Ironheart, 50% OFF Warhammer 40,000 and more! Here's a rundown of their best deals. No code required at checkout. For the full list of comics on sale this weekend, head over to Comixology’s sale page. Some highlights from the sale are below. Scroll down to see a few of our favorite Comixology deals! Summary: "Thanos makes his world-shattering return, and his armies fire the opening shots of a galactic war that will be fought both on Earth and in deep space - with our heroes caught between both battles! 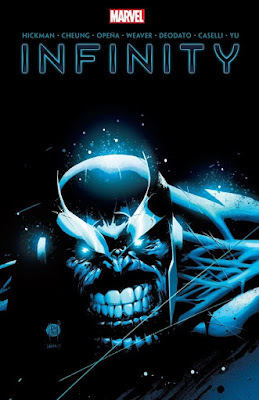 As the mad Titan's secrets are revealed, the Inhumans' city of Attilan falls, and the members of the Illuminati find themselves on the front line! And as every Origin Site on Earth goes active, the Builders enter the Marvel Universe. But can the Avengers return to Earth in time to save it, when betrayal in the Galactic Council has left them prisoners of war?" Collecting Infinity #1-6, New Avengers (2013) #7-12, Avengers (2012) #14-23 and Infinity: Against the Tide Infinite Comic #1-2. One of the finest Thanos stories in the last few years it's a huge story and an even bigger price cut. Summary: "A NEW YORK TIMES Bestseller! 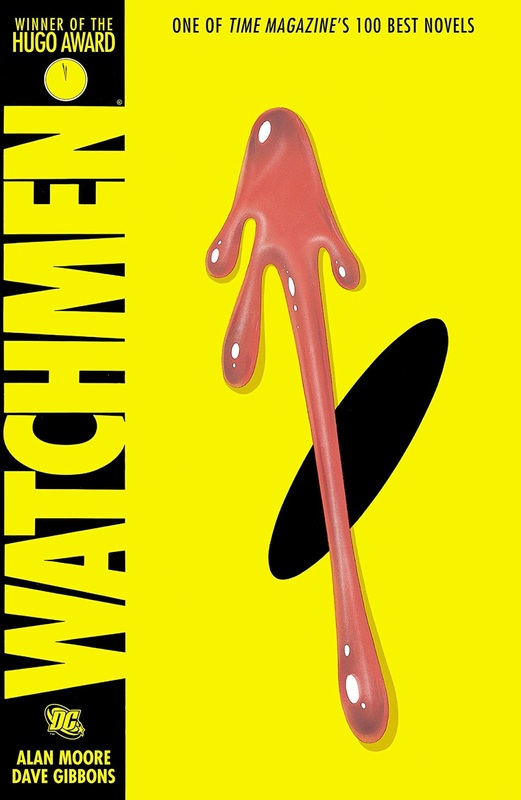 This edition of WATCHMEN, the groundbreaking series from Alan Moore, the award-winning writer of V FOR VENDETTA and BATMAN: THE KILLING JOKE, and Dave Gibbons, the artist of GREEN LANTERN, features the high-quality, recolored pages found in WATCHMEN: THE ABSOLUTE EDITION with sketches, never-before-seen extra bonus materials and a new introduction by Dave Gibbons." 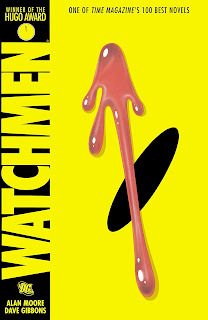 A modern day classic that's been adapted into a movie and now a TV series. Summary: "Batman: The Dark Knight Returns. A NEW YORK TIMES Bestseller! 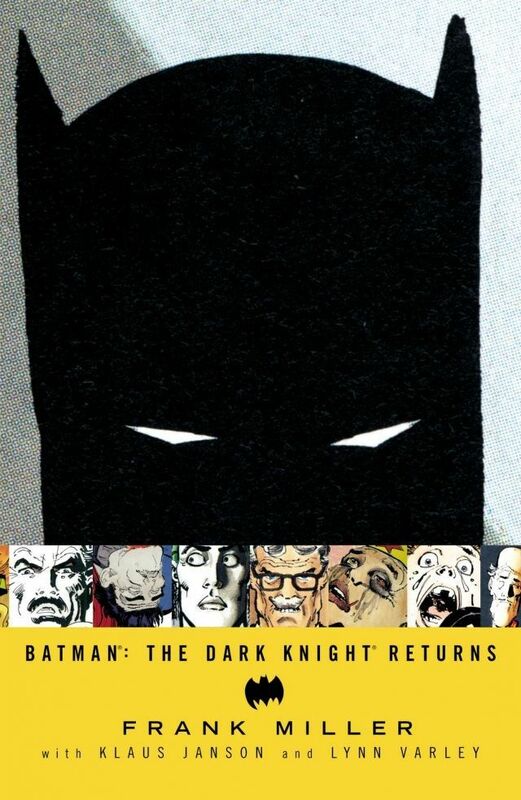 This volume collects BATMAN: THE DARK KNIGHT RETURNS #1-4." Summary: "A new Iron Age begins! From the violent streets of Chicago, an armored hero rises! Clad in her own Iron Man suit, Riri Williams is ready to show the world what she can do as the self-made hero of tomorrow. Her technology just might change the world forever - if she survives that long! But is she ready for all the problems that come with stepping into Iron Man's jet boots? Problems like her first big villain. And the other guy running around as shell-head. And the laundry list of criminals looking to destroy Tony Stark's legacy. Oh, and all the super-teams out to recruit her! As Riri's adventures go viral, it's time to claim an alter ego of her own - welcome to the Marvel Universe, Ironheart! 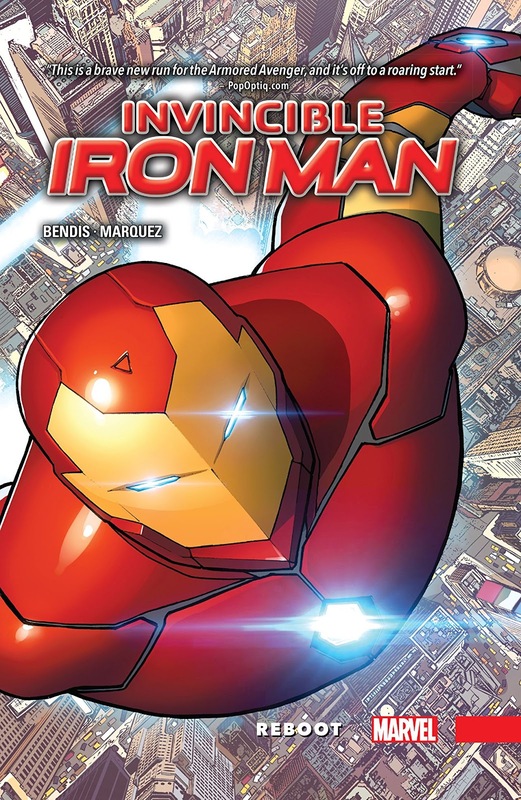 This volume collects Invincible Iron Man (2016) #1-6. It's a wonderful introduction to the best new character in Marvel comics. Artists: Klaus Janson, Andy Kubert, Frank Miller, Eduardo Risso, and John Romita Jr.
Summary: "In 1986, THE DARK KNIGHT RETURNS changed comics forever. In 2001, THE DARK KNIGHT STRIKES AGAIN went back to the future of Batman and shocked the industry to its core. 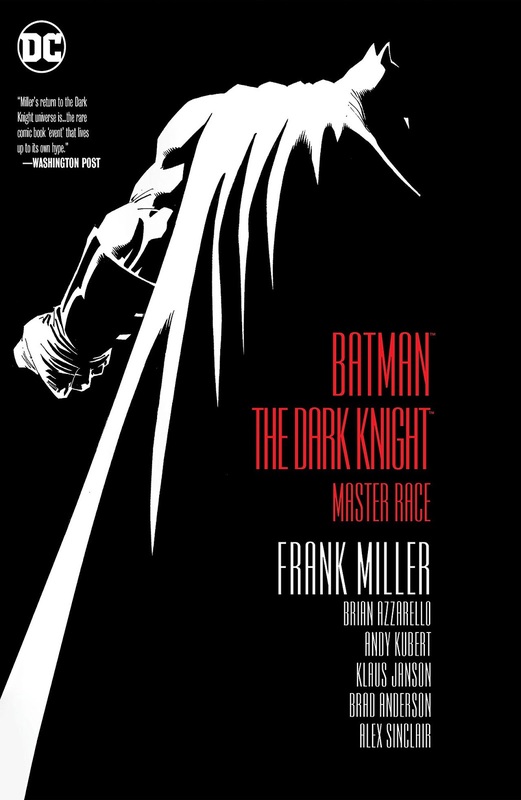 Now, living legend Frank Miller joins forces with superstar writer Brian Azzarello (100 BULLETS) and an alliance of comics’ greatest artists to unleash the highly anticipated epic third chapter in the DARK KNIGHT saga: THE MASTER RACE. Collecting the full nine-issue miniseries and its mini-comic tie-in issues, BATMAN: THE DARK KNIGHT: MASTER RACE features incredible artwork from comics icon Andy Kubert (FLASHPOINT), as well as Klaus Janson (THE DARK KNIGHT RETURNS), John Romita Jr. (ALL-STAR BATMAN), Eduardo Risso (100 BULLETS) and Frank Miller himself!" 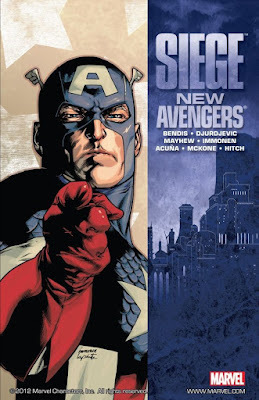 Summary: "Collects New Avengers Annual 3, Dark Reign: The List - Avengers, New Avengers #61-64 & New Avengers Finale. The Avengers are on the run! The villainous Norman Osborn leads H.A.M.M.E.R., the new national peacekeeping force, and the Hood is the new kingpin of crime. What will happen when Osborn decides to invade Asgard?" Summary: "The Earth's mightiest Avengers stories -- assembled in one super-sized volume! Witness the fateful day when five heroes unite! Cheer as Captain America lives again! Watch the old order changeth for the first time, and learn that even an android can cry! See Ultron, Count Nefaria, Kang and the Red Skull take their best shots at the Avengers -- and gasp as the Masters of Evil lay siege to the mansion! 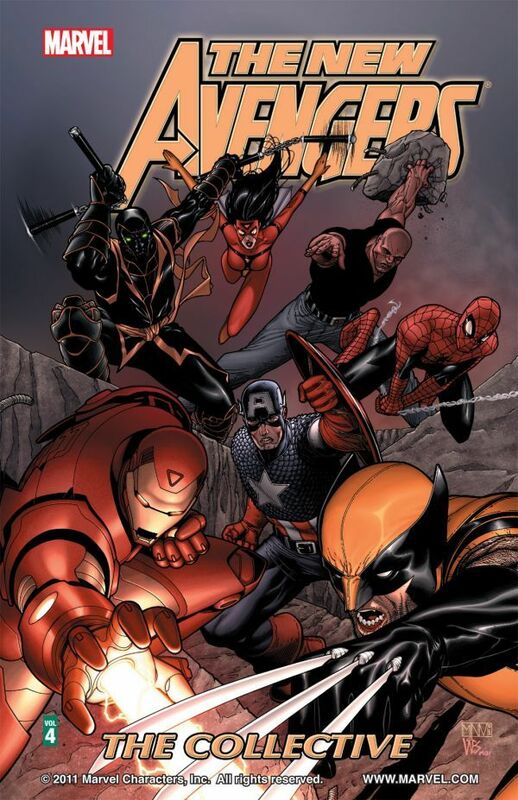 Welcome Spider-Man and Wolverine to a very new roster, then completely lose count as Cap and Iron Man expand the team to safeguard an Avengers World!" 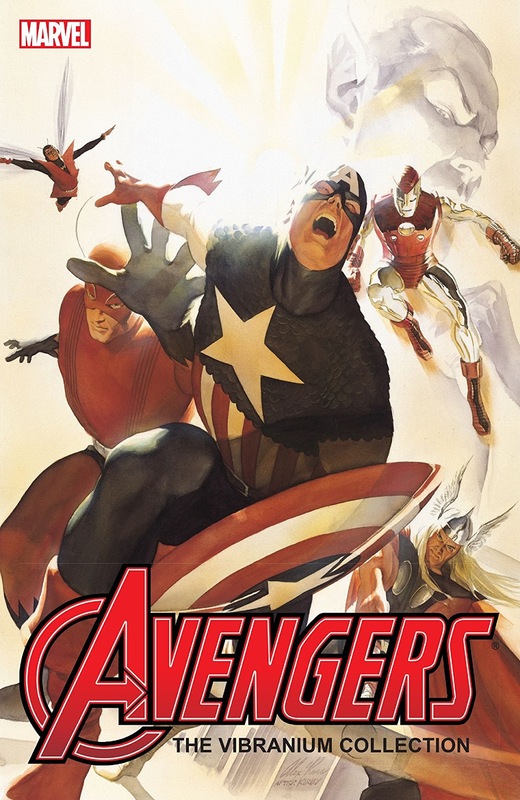 This book collects some of the best storylines from Avengers (1963) #1, 4, 16, 57-58, 164-166, 273-277; Giant-Size Avengers (1974) #2; Avengers (1998) #19-22, 65-70; New Avengers (2005) #1-6; Avengers (2012) #1-3. It's a massive collection of over 700 pages and every page is a classic. Summary: "Collects New Avengers (2004) #16-20. HOUSE OF M changed the planet; now, a new, major threat has emerged. The New Avengers are about to be put to the test in a way they never have before." This book collects some of the best stories in the "House of M" storyline and includes appearances from Black Panther, Luke Cage, Iron Man, and Wolverine. 'Nuff said. 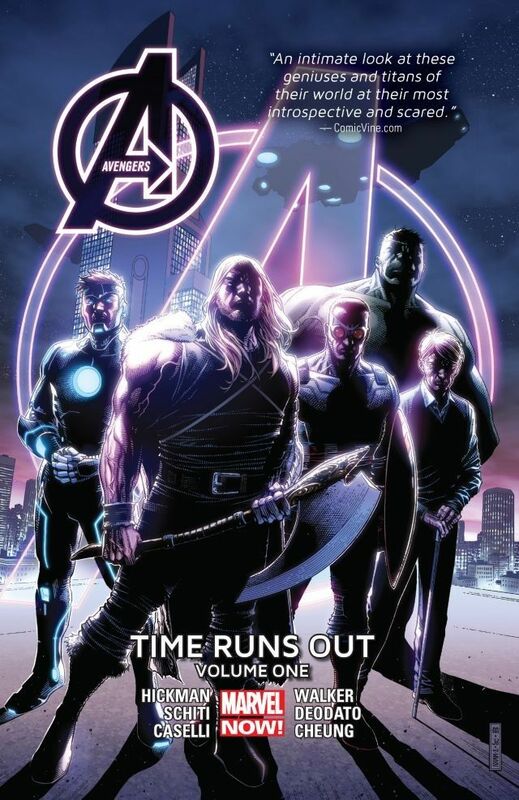 Summary: "Collects Avengers (2012) #35-37, New Avengers (2013) #24-25.. For Earth's Mightiest Heroes and the Illuminati, it has all been building to this. 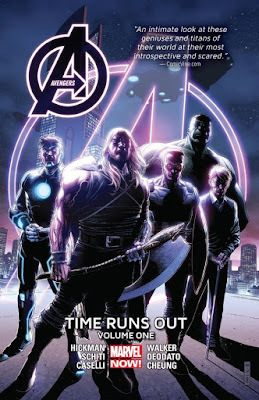 After two years of carefully crafting his cataclysmic saga, writer Jonathan Hickman jumps ahead eight months to the grand finale, the honest-to-goodness immediate future of the Marvel Universe -- and the day of the Final Incursion! After the events of ORIGINAL SIN -- and the revelation of the Illuminati's desperate, world-destroying actions -- much has changed for the Avengers. What has become of Earth's Mightiest Heroes during the past eight months? Who comprises the new Cabal? And have all the battles they've endured, and the sacrifices they've made, prepared either group for the inevitable moment where time runs out for everybody?" 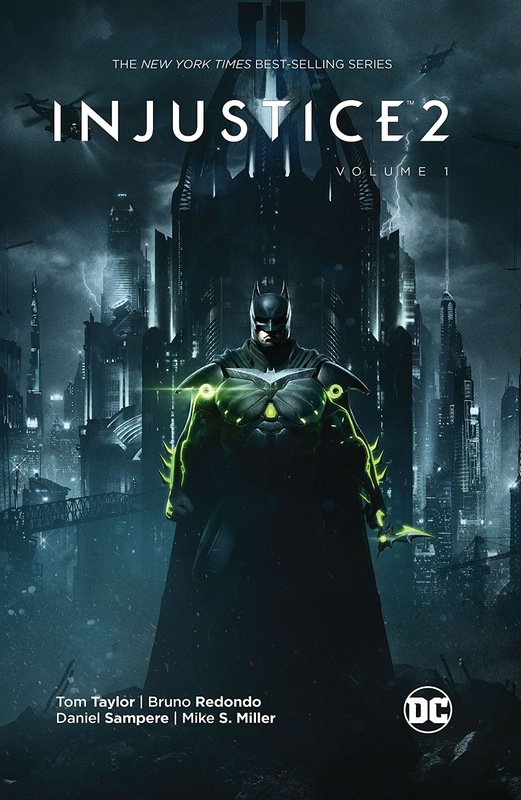 Summary: "The New York Times best-selling series, written by Christopher Sebela (SUICIDE SQUAD MOST WANTED) with talented artists including Tom Derenick (INFINITE CRISIS: FIGHT FOR THE MULTIVERSE), Pop Mhan (HE-MAN: THE ETERNITY WAR) and Daniel Sampere (GREEN ARROW), takes readers deep inside the mind of Harley Quinn in this can't-miss collection of INJUSTICE: GROUND ZERO VOL. 2 stories. Harley Quinn's twisted take on the world of the hit video game Injustice: Gods Among Us comes to a thrilling conclusion, setting the stage for the fighting game's sequel, INJUSTICE 2! Harley and the Joker are back together at last, but all is not as it appears. Is she Joker's unwitting pawn, or is she actually setting an elaborate trap for her no-longer-beloved Mr. J and becoming the hero a world on the brink of mass destruction needs most? And while the Joker and Harley Quinn work out their differences in typically explosive fashion, the war between the brutal despot Superman and the superhero resistance led by Batman and the heroes of the Justice League takes a savage toll! How will this strange new world survive the battle between former friends and allies? 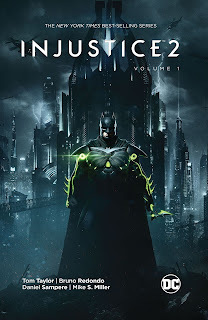 Summary: "The start of an all-new saga in the alternate DC Universe of the smash-hit Warner Bros. Interactive fighting game is here in INJUSTICE 2 VOL. 1! From the acclaimed creative team of Tom Taylor and Bruno Redondo, INJUSTICE 2 VOL. 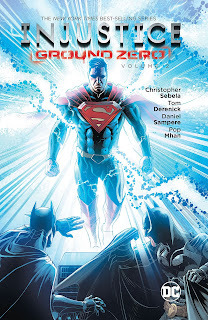 1 collects INJUSTICE 2 #1-6 (digital #1-12)." What comics are you buying this week? Let us know in the comments!